Now you're in New York. These streets will make you feel brand new; the lights will inspire you. These are the lyrics to yet another popular song that reads like a love letter to The Big Apple. Over the years, many artists have paid homage to the infamous city. Making many of those who have never visited wonder: "What do people love about it so much?" Arguably, it's the feeling of possibility. And in the background, quietly observing the hustle and bustle of it all, is the city's architecture—spurring us to remember our roots, dream big and create anew. Look up and you'll see pinnacles of impressive towers and cranes erecting the monuments of tomorrow. Look down around the city's alleyways, and you’ll see the ornamental facades of eras gone by. The biggest changes to the city's skyline are found in a small area near 57th Street. Four of the world’s tallest towers are currently being built between West 53rd and West 59th. The project is estimated to be completed by 2019. If you find yourself wondering what NYC will look like 100 years from now, you are not alone. Today's architects feel an immense responsibility toward future generations. According to Travis Price, an award-winning architect and philosopher whose work is rooted in ecology and mythology, the majority of today's architecture is soulless, mass-produced, and empty. “We are made from nature in nature," Price said in a recent interview. "We miss the rhythms. We miss the hot, cold. The lack of isolation by fossil fuels. The human being needs that. Just like it needs smell and taste.” Thankfully, such sentiments are increasingly echoing throughout the architectural community. It should come as no surprise that NYC is home to some of the world's greatest architects. In this article, we would like to introduce you to the men and women who are reshaping both the Manhattan skyline and its less assuming alleyways in a beautiful way. But these architects are more than facilitators of beauty—they are planners, problem-solvers, and environmental advocates. In addition, all are recipients of numerous awards and media recognition. Click on the linked headlines below to learn more about the best architects in NYC. Let us know if we've missed your favorite architect or architecture firm, in the comments below! Robert A.M. Stern Architects, LLP, is a 320-person firm of architects, interior designers, and supporting staff. Over its forty-six-year history, the firm has established an international reputation as a leading design firm with extensive experience in residential, commercial, and institutional work. The firm has worked on projects around the globe, including Europe, Asia, South America, and throughout the United States. The firm's attention to detail and high-quality designs have garnered numerous awards, including the National Honor Award of the American Institute of Architects. Stern is also the J.M. Hoppin Professor of Architecture at Yale University and was Dean of the Yale School of Architecture until 2016. He is the author and co-author of several books on architecture, including a new release in April 2016. His work has been the subject of 19 books. 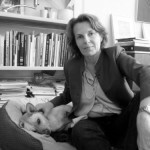 Annabelle Selldorf is the CEO of Selldorf Architects, a 65-person architectural design practice. The firm creates public and private spaces with enduring impact. Elegance, refinement, and minimalism are the primary characteristics of their work. The German native earned her Bachelor of Architecture degree from Pratt Institute and her Master of Architecture from Syracuse University in Florence, Italy. She has a diverse portfolio, including the transformation of former roller rink and nightclub, "The Roxy," into Hauser & Wirth’s 18th Street gallery; the restoration of the Neue Galerie on the Upper East Side; and several private renovations for NYC's elite. 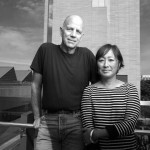 Tod Williams and Billie Tsien offer an exceptionally soulful approach to their work. A published essay on the duo's website says it all: "The power of the drawn idea can be almost as irresistible as the sun, and as Bach." Williams and Tsien’s architectural practice focuses on institutions like schools, museums, and not-for-profits. The husband and wife team have been awarded highly prestigious awards every year since co-founding their practice in 1986. Most recently, Tod Williams Billie Tsien Architects was awarded the AIA Architecture Firm Award, and both architects were presented with a National Medal of Arts by President Barack Obama. Tod received his undergraduate, MFA and Master of Architecture degrees from Princeton University after graduating from the Cranbrook School. Billie received her undergraduate degree in Fine Arts from Yale University and her M. Arch. from UCLA. Peter Marino, FAIA, is the principal of Peter Marino Architect, an internationally acclaimed architecture, planning, and design firm founded in 1978 and based in New York City. He is assisted by six associates and 160 employees. Marino also has offices in Philadelphia, PA, and Southampton, NY. Additionally, Marino is experienced in designing for commercial, residential, and cultural projects. Marino holds an architecture degree from Cornell University. Alan Wanzenberg is the founder of Alan Wanzenberg Design LLC—a renowned multidisciplinary architectural and interior design firm specializing in fine residential projects around the world. The staff of 15 architects and designers work on a variety of projects for individuals, families, and developers. Wanzenberg himself describes the firm's style as "restrained luxury and authenticity." The firm takes special care to take specific regional contexts—both town and country— into account when approaching new projects. Contemporary sensibilities are then blended with historical details to create timeless designs. 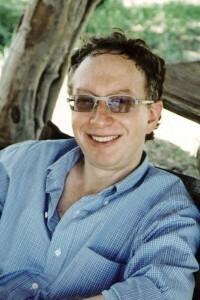 Wanzenberg graduated from the University of California Berkeley with a bachelor’s degree in architecture and later earned his master’s degree from Harvard University Graduate School of Design. Thomas Kligerman is the co-founder of Ike Kligerman Barkley. The firm boasts a versatile project portfolio, featuring constructed designs across the country—from the suburbs of Houston, Texas to the mountains of Aspen to the rolling hills of Martha's Vineyard. From small, personalized living environments to high-profile buildings, the firm has done it all. One of their most interesting feats? A loft repurposed from a Manhattan butter factory. The firm's life-enhancing designs have been featured in two books, “Ike Kligerman Barkley: Houses” and “The New York Shingled House.” Kligerman earned his Bachelor of Arts from Columbia University and his Master of Architecture degree from Yale School of Architecture. 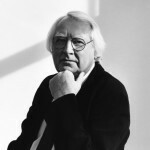 Richard Meier is a Pritzker Prize and AIA Gold Medal-winning architect. His signature style, a striking use of abstract design combined with the color white, is instantly recognized around the globe. On his Website, Meier describes architecture as "the mother of the arts,"[connecting] "the present with the past and the tangible with the intangible." Meier completed his architectural training at Cornell University before establishing his own office in New York City in 1963. His firm’s projects have received 30 National Honor Awards from the American Institute of Architects and more than 50 from the New York AIA and other regional chapters. Gorlin's work blends space, light, and natural materials in creative, new ways. His portfolio includes high-end residential work, apartment buildings, schools, religious buildings, master planning, and affordable housing. While the architect has worked on an array of impressive structures, it is worth mentioning that he is also an acclaimed critic and scholar. 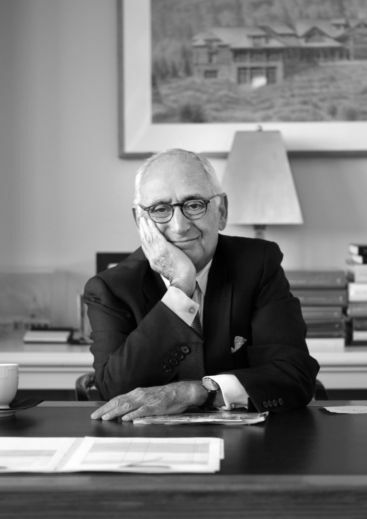 Gorlin has penned several books, including Tomorrow’s Houses: New England Modernism and two definitive volumes on The New American Townhouse. Gorlin graduated from the Cooper Union School of Architecture and received an M.Arch from the Yale School of Architecture. He also spent time at the American Academy in Rome where he won a Rome Prize in Architecture. Calvin Tsao and Zack McKown describes their work as "where technology meets traditional methods of fabrication, with the design of each unique project informing the next." 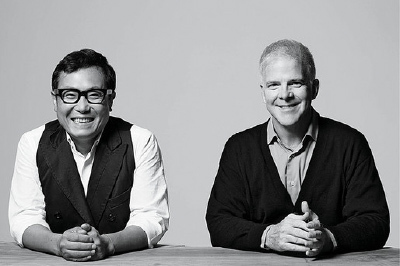 The dynamic duo formed their practice in 1985, and have been striving to change the landscape of modern architecture ever since. Rather than having a trademark style, the team maintains a trademark way of thinking. They approach each project from an existential framework, seeking to challenge the status quo. Tsao is a former vice president for Design Excellence of the AIA New York chapter. He is also a highly sought-after instructor and has taught at the Harvard Graduate School of Design, the Cooper Union, Syracuse University, and Parsons School of Design. McKown is on the board of the Design Trust for Public Space and Scenic Hudson. He also co-founded desigNYC, a nonprofit that assists deserving community groups in need of design services. 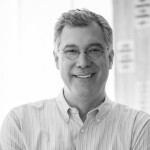 Steven Harris is the founding principal of Steven Harris Architects, an award-winning firm that has worked on both public and privately commissioned projects since 1985. The firm is especially known for fostering an open exchange of ideas, both internally and externally. By extensively relying on feedback from clientele, Steven Harris Architects has delivered a variety of stand-out designs, working on everything from Manhattan townhouses to a Queens bowling alley and pool hall. The firm has been recognized in Architectural Digest’s AD 100, Elle Décor’s A-List, and the Interior Design Hall of Fame. 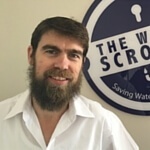 Harris' resume includes teaching forays at Princeton, Harvard, and Yale. He received his education at New College, the Rhode Island School of Design, and Princeton University. 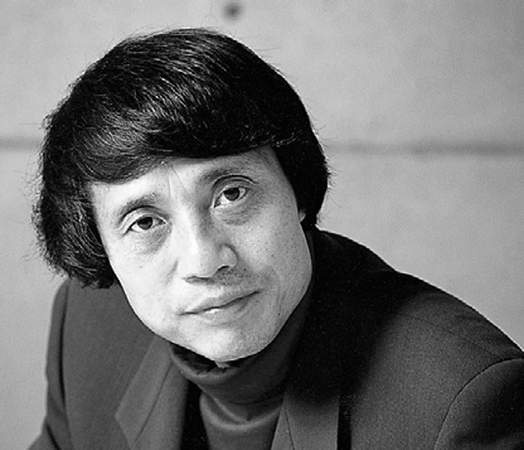 Tadao Ando is a Japanese architect known for balancing the strength of concrete with the weightlessness of light. His work is often compared to that of a haiku - a short-syllabled Japanese poem. One of his most publicly acclaimed designs is the Church of the Light—a concrete cube with a cruciform-shaped aperture, that emits natural light at the altar. Ando's work has garnered many awards, including the Pritzker Prize, the AIA Gold Medal, and the Kyoto Prize. But, perhaps, the most interesting fact about him has less to do with architecture and more to do with what he left behind. During a high school field trip, Ando reportedly found himself mesmerized in the presence of a hotel designed by Frank Loyd Wright. The young man was so taken with the design that he completely abandoned his previous career path as a professional boxer. 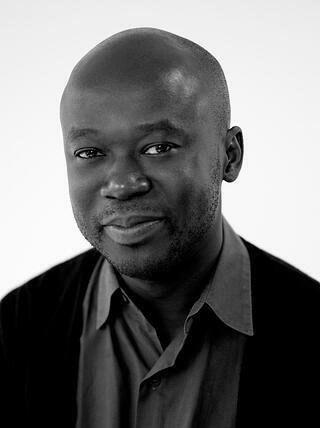 Adjaye Associates was founded in 2000 by the firm's principal architect, David Adjaye. The firm is best known for their eclectic use of material, their bold color palettes, and their ability to interweave diverse cultural influences into unified designs. The firm's best-known commissions are the design of the Smithsonian Institution’s National Museum of African American History, Culture on the National Mall in Washington D.C., and the Moscow School of Management (SKOLKOVO). Since its inception, the firm has increasingly received worldwide recognition with completed work in Europe, North America, the Middle East, Asia, and Africa. Adjaye's work is undoubtedly influenced by his rich heritage, having lived in Tanzania, Egypt, Yemen, and Lebanon all before the age of 9. He earned his bachelor's degree at London South Bank University before graduating with a master's from the Royal College of Art. Diller Scofidio + Renfro was founded in 1979 by Elizabeth Diller, Ricardo Scofidio, and Charles Renfro. Look no further than the recently launched High Line to get a feel for what the firm is all about. The linear park, which runs nearly 1.5 miles along New York's west side, is a source of pride for New Yorkers of all stripes, and is an intimate public space supporting peace and tranquility in the city. The firm's signature style of nature and mixed materials can also be seen in the nearly complete Medical and Graduate Education Building for Columbia University Medical Center. Both Elizabeth Diller and Ricardo Scofidio attended Cooper Union School of Architecture and received their bachelor's degrees from Columbia University. 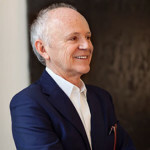 Diller is currently a Professor of Architecture at Princeton University. Scofidio is currently Professor Emeritus at the Cooper Union School. Charles Renfro attended Rice University and received a bachelor's from Columbia University. Renfro has taught at several schools, including Columbia University. What will New York City look like 100 years from now? If our featured architects have anything to say about it, we'll see more green spaces, more casual elegance, and more sensitivity toward environmental issues like water conservation and energy efficiency in the years to come. We hope you have found inspiration in this article. Consider bookmarking it so you can browse through the work of each architect at a later time.